Every year, you see the invitations in your inbox encouraging you to brush up on your knowledge of rules, regulations, and best practices for credit management. And when you attend, you likely do learn something. But for experienced credit managers, are courses worth the time you spend? If you are truly experienced, the answer is yes for one significant reason: You won’t always be the one doing your job. Across all industries, accounting departments are facing a common challenge: Experienced workers are heading for retirement, and they’ll be taking their specialized knowledge of credit management and industry-specific accounting and regulatory issues with them. The “brain drain” syndrome is real, and as we explained in our previous post on the topic, it’s coming sooner than most organization leaders realize. According to the Pew Research Center, 10,000 Americans reach the retirement age of 65 every day. This trend is expected to continue until the year 2030. Even when companies think they see the change coming, most do not prepare well. Why not? Because combatting brain drain requires more than just hiring a new person to replace that experienced worker. You know that it has taken years — maybe even an entire career — to build the experience you use in managing your company’s credit portfolio every day. So whether you are planning to retire in a year or 10 years, it’s good for you and your company to begin the process of knowledge sharing now. Pundits across industries recognize that one of the most beneficial ways to combat brain drain is to establish mentoring programs in which newer staff members get the benefit of learning the ropes from someone who not only understands the industry and the job but also how things work at your company. 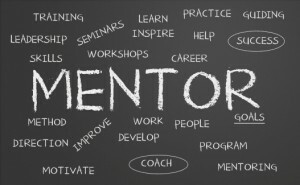 Unfortunately, mentors are still responsible for doing their own jobs and taking time to design a training program isn’t often on the top of the list of priorities for the day. Job shadowing can help a new person get a feel for day-to-day operations, but when it’s time to learn a specific skill, you will want to take advantage of programs that are readily available to your staff. Industry training workshops like the Mechanic’s Lien Seminar offered by MSCCM are conducted by experts who narrowly specialize in the subject matter they are covering. These experts will give a comprehensive overview of the subject, drawing attention to big and small details that are critical for understanding the topic and using that knowledge effectively. When mentors and students attend the Mechanic’s Lien Seminar together, the experience will ensure they are on the same page when they tackle a mechanic’s lien on the job. Mentors will be able to point students back to course materials, and students will be able to ask informed questions. The learning curve is reduced, and the student can dig deeper into the experience of that knowledgeable mentor. Training sessions like the Mechanic’s Lien Seminar give your team and your company a practical, efficient way to drive knowledge transfer to support a healthy company today and into the future. This entry was posted on Monday, March 21st, 2016 at 2:08 pm	and is filed under Blog Posts. You can follow any responses to this entry through the RSS 2.0 feed. Both comments and pings are currently closed.